If you’re in the market for a new compact luxury sport utility vehicle, chances are you will be looking out of the following models: The Mercedes-Benz GLC, the Audi Q5 and the BMW X3. These three luxury sport utility vehicles essentially dominate their segment and provide owners with a very appealing blend of comfort, performance, interior space, and versatility. But which one is right for you? We can compare the specifications, but we will quickly realize that there are very few differences between these three models. They are so close that it’s hard to see exactly where one stands apart. What you have to do, is get behind the wheel. Then you will discover a level of comfort in the Mercedes-Benz GLC that you won’t find in the BMW X3 or Audi Q5. 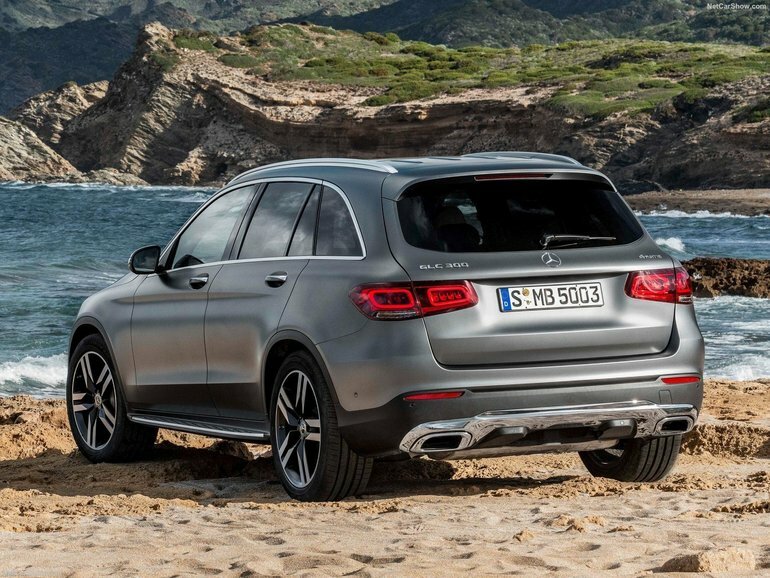 The GLC is both sporty and refined on the road. It handles like a much sportier vehicle, but it also absorbs road imperfections like a much more expensive model. It feels planted and controlled at all times and gives the driver a sense of confidence that is unmatched. You could almost consider it a perfect balance of the BMW X3’s performance, and the Q5’s comfort. There are also a few differences when it comes to trims and options. There are no hybrid versions in the Q5 family nor in the BMW X3 family. But the GLC 350e offers a plug-in hybrid powertrain with over 30 kilometers of range. As the entry-level model, the GLC 300 features a turbocharged four-cylinder engine that delivers 241 horsepower and 273 lb-ft of torque. The Q5 has the same torque and a 2.0-liter four-cylinder engine as well, but its power is a bit higher. Nevertheless, because of the Q5 is heavier, the performance is relatively the same between each model. As for the BMW X3, it’s a bit of the same story. You get a bit more power, but the same performance given its higher weight. We also get more versions in the Mercedes-Benz family. One can for example opt for a Coupe model with more sporty style with the GLC. The Q5 comes in only one body version. As for the BMW X3, it also offers a coupe version, but it’s also more expensive all around than the GLC. In short, it is difficult to choose between each model, but ultimately the Mercedes-Benz GLC range offers many more choices which is usually what gives the GLC the edge. It also provides a bit more value.